This post was written for Blog Action Day. In our house, toys have migrated into every room in the house. There are cars in the laundry, a felt board in my bedroom and a stuffed dog sitting on the table watching me type. Then of course there is the overflowing Ikea storage unit and the floor of living room and MissC's room both of which are littered with toys. Judging by other houses I have visited, I am not alone in this situation. I have seen others houses where there are three rooms devoted to the toys and still overflow into the living room. I have read advice columns suggesting that you throw out old toys to make room for the new ones coming in for Christmas or birthdays. It is a remarkable excess and one of the reasons for this is that it is cheap. So cheap. I can pick up a stuffed toy right now for two dollars, I can't even buy half a cup of coffee for that. It makes it very easy to say yes, for grandparents and friends to idly pick up a toy as a 'treat', to go over the top on special occasions or just because. Now when you think about this situation. You probably mostly worry that your children will be spoiled by the excess, that it contributes to inactivity (so you buy some outside toys) and perhaps you occasionally think about global warming and the effect of the environment of so many cheap, disposable toys. Do you ever think about where they come from? A lot of the reason we are able to have so many cheap things is because of the gross exploitation of people in other nations. 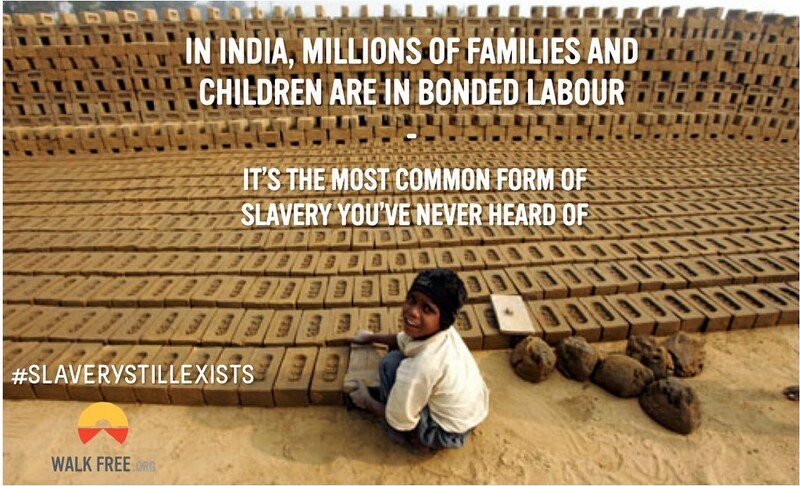 Around 29.8 million people live in slavery around the world today. That is more than the total number of people taken from Africa to America during the trans-alantic slave trade in the 17th to 19th century. The U.S. government has identified many products as being commonly produced by slave labour, this includes toys, sporting equipment, food items even bricks 1. Even more people work under horrendous working conditions. The majority of toys are produced in China by workers who work 80 hours a week for very little pay. Many factories from which common toys are sourced have reports of human rights and labour rights violations. It is not just cheap dollar shop toys either, Hasbro and Mattel are both known to source some of their toys from Chinese Sweatshops 2. Many of these same factories also use child labour. Many employers prefer children as they are cheaper, do not ask for legal protections and as such can be easily cut if demand drops off. Aside from the issues facing adults working under the same conditions, children may face long term health consequences from their work and are prevented from accessing education keeping them trapped in poor working conditions their whole lives 3. Some of these children are also slaves, under a sort of slavery called bonded labour, where they are forced to work off their parents or grandparents debts. It is easy to not think about these issues. Part of the reason the whole issue still exists is because it is so easy not to think about it. It is things happening to people you don't know millions of miles away. But it is something happening to people. People just like you and I, who love their children too and just want what's best for them. Toy rooms stuffed with cheap slave produced toys is not what is best for anyone. In one country, you've got a child learning little about self-control and entitlement and in the other you've got a child who, best case scenario rarely sees his parents as they slave away in sweatshops or worst case, slaves away in those sweatshops himself for very little money. It is also easy to think of it as someone elses problem, something governments should solve but poor working conditions result from companies not being held to account and market demand for the cheap products it produces. We need to do something about it ourselves. We can open our eyes and vote with our feet. Use a shopping app such as Ethical Shopper to let you know which brands provide good working conditions and which don't. Shop in second hand shops and fairtrade shops such as Oxfam for toys rather than Target or Kmart. Buy less and repurpose household items for play. Hand around toys rather than placing them in the bin when our children outgrow them. Participate in activism surrounding the issue.